Welcome to Epic Martial Arts - serving Woodstock, Townelake, Canton, Hickory Flat, and Acworth area! Thank you for your interest in Epic Martial Arts and our transported After School Program now offering Free Transportation from Bascomb, Carmel, and Boston Elementary Schools. 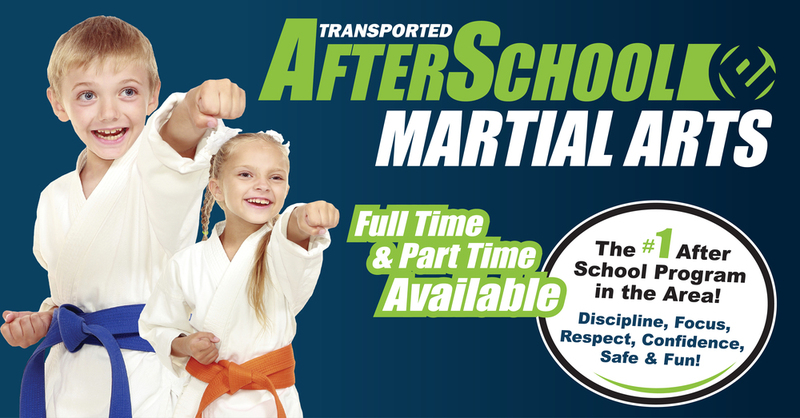 To learn more about our After School Martial Arts Programs, complete the form below or call us at 770-592-0088 for more details. Epic Martial Arts offers an unmatched After School program that provides an impeccable after school environment paired with exceptional martial arts programs for a unique, safe and fun experience! We have both full-time and part-time spots available to best fit your schedule. For more information call us at 770-592-0088. Yes! We have an affordable, constructive alternative to Daycare! Yes! Students participate in daily martial arts classes where they’ll have an opportunity to earn belts and receive all of the benefits you desire as a parent: personal discipline, greater focus, respect for themselves and others, increased confidence, and more! Yes! We pick your child up from their elementary school in a fully licensed and insured passenger van with seatbelts, driven by well trained and experienced drivers.